Compatible batteries (not included): Sony NP-Series Li-ion rechargeable battery (NP-FH70, NP-FM55H, NP-F550...); Panasonic CGR-D16S rechargeable battery; 6 x Alkaline/NiMH AA Battery. Suitable for most Flash/Strobe Light, Umbrella, Reflectors. Easy flip solid locking system for light safety. 3 Legs Stages, which will be more stable. 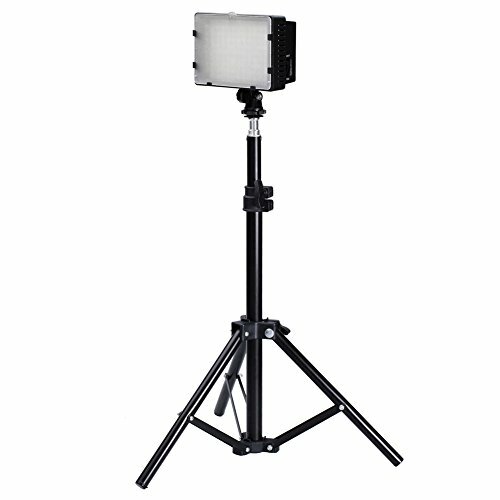 CN-126 LED Light with 32" tall studio light stand.